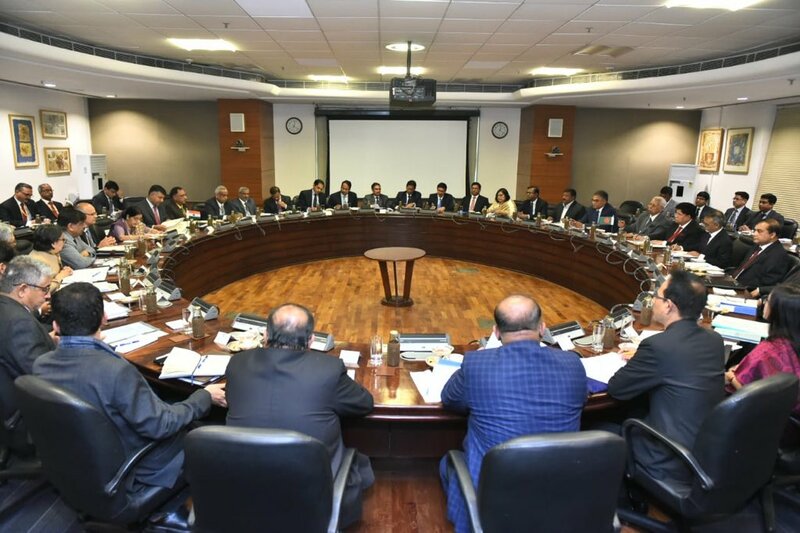 External Affairs Minister (EAM) Sushma Swaraj and her Bangladeshi counterpart AK Abdul Momen here on Thursday co-chaired 5th Joint Consultative Committee (JCC) Meeting. New Delhi: External Affairs Minister (EAM) Sushma Swaraj and her Bangladeshi counterpart AK Abdul Momen here on Thursday co-chaired 5th Joint Consultative Committee (JCC) Meeting. The two leaders took stock of progress in security, defence, trade and connectivity, development partnership, water, power and energy sectors and consular and cultural cooperation. "Scripting a forward-looking agenda. 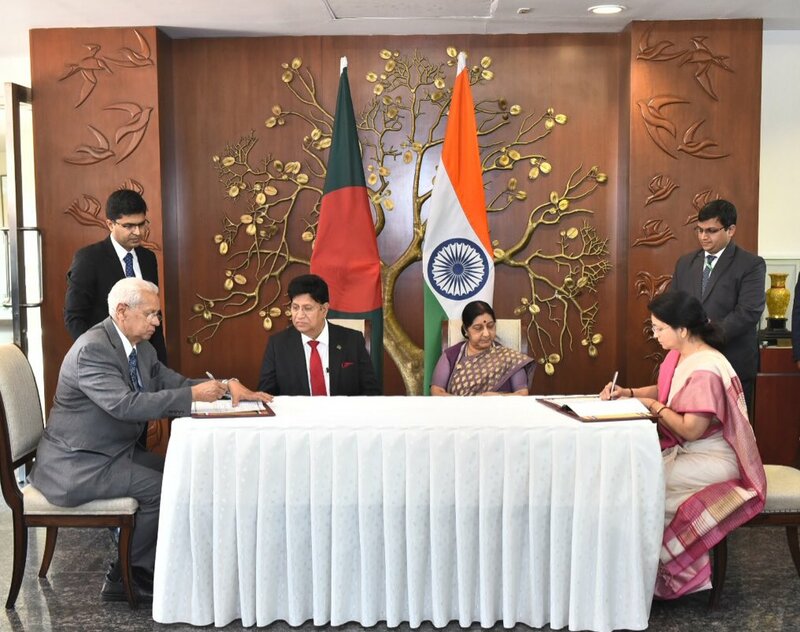 EAM @SushmaSwaraj Bangladeshi FM Abdul Momen co-chaired 5th Joint Consultative Committee Meeting.Took stock of progress in security,defence,trade connectivity,development partnership, water, power energy sectors consular cultural cooperation," tweeted Ministry of External Affairs (MEA) Spokesperson Raveesh Kumar. Kumar had earlier tweeted, "Time-tested good neighbourly relations based on trust &amp; mutual understanding. EAM @SushmaSwaraj welcomed Bangladeshi Foreign Minister Dr Abdul Momen ahead of #IndiaBangladesh Joint Consultative Commission. Our solid ties have their genesis in War of Liberation of Bangladesh." Bangladesh Foreign Affairs Minister AK Abdul Momen is on a three-day visit to India. He called on Prime Minister Narendra Modi on Thursday wherein the Prime Minister reaffirmed India's commitment to work with Bangladesh to build on the upward trajectory witnessed in bilateral ties in the last few years. Momen is also scheduled to meet former President Pranab Mukherjee on Friday before returning home the next day.